WASHINGTON — Angry House Republicans blasted the Obama administration Tuesday over the release of an immigrant later charged with murder in San Francisco, and advanced legislation aimed at preventing such an event from happening again. Homeland Security Secretary Jeh Johnson disputed the criticism at a hearing, but said he plans to evaluate whether a new approach is needed to avoid what happened in San Francisco, where an immigrant with a long criminal record and no legal status was released onto the streets and committed a murder. And he agreed with Republican critics who said it didn’t make sense for the alleged killer to have been handed over to a jurisdiction like San Francisco, a “sanctuary city” which limits its cooperation with the federal government on immigration and was unlikely to try to send him home. “I want to evaluate whether some discretion can be built into the process so when we’re faced with a choice like that, we can make the best decision for the purposes of public safety,” Johnson told the House Judiciary Committee in his first appearance on Capitol Hill since the July 1 murder of 32-year-old Kathryn Steinle sparked national controversy. Steinle’s alleged killer, Mexican national Juan Francisco Lopez Sanchez, had been serving a federal sentence for illegal re-entry. Instead of being deported upon finishing his term, he was handed over to San Francisco on a decades-old drug charge. San Francisco authorities ended up dismissing Sanchez’s case and releasing him despite a request from federal officials to keep him detained. Sanchez went on to allegedly shoot Steinle as she walked along a popular pier with her father in broad daylight. He has pleaded not guilty, claiming he found the gun on the pier and it accidentally went off. San Francisco is among some 300 communities nationwide that refuse to abide by federal immigration detention requests, or “detainers,” which have been successfully challenged in court by critics who say they indiscriminately target immigrants including many innocent of criminal wrongdoing. 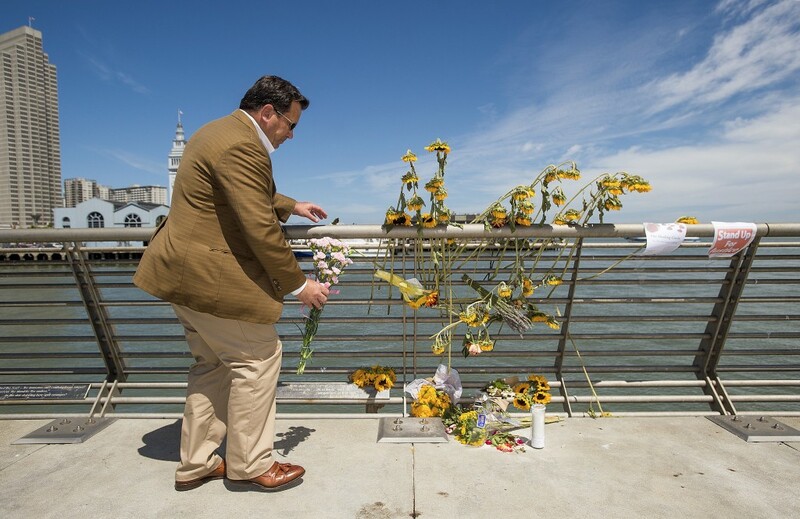 In the wake of Steinle’s death, Republicans have called for making such detainers mandatory. Johnson said the killing underscores the need for local authorities to cooperate with the federal government and its detention requests, but he said making such cooperation mandatory would be counterproductive. Even as Johnson was testifying before the Judiciary Committee, another GOP-controlled panel, the House Appropriations Committee, was taking action aimed at depriving sanctuary cities of funding and requiring the Immigration and Customs Enforcement agency to continue to detain immigrants in the country illegally who have been convicted of crimes, instead of exercising discretion and releasing them into the general population. Both amendments were added by the panel’s Republicans, over objections from Democrats, to a measure funding the Department of Homeland Security for the upcoming budget year. “Dangerous criminals who are in the Unites States illegally must now be incarcerated until they are deported to their home country,” Rep. John Culberson, R-Texas. “This is such a broad, knee-jerk reaction,” said Rep. Nita Lowey, D-N.Y.